Feb. 10, 2018–As someone who has made the study of Abraham Lincoln a major part of my adult life, I can say that this book is one of the best books ever written on the 16th President. This is because it represents a breakthrough in understanding the man who was probably the most important president in American history, and specifically, in portraying how he embodied the “American System” of economy which was at war with the “British System” of slavery and free trade. What is most important in Blumenthal’s work is his development of Lincoln’s views on slavery; his linking of those views with his overall economic perspective; and thirdly, his presentation of Lincoln as a student of Henry C. Carey and the American system of economics, the mortal enemy of the British system. This third point, while not unique to Blumenthal (see below), breaks new ground, as Blumenthal marshals the evidence to “prove” the connection between Lincoln and the American System economist (and later presidential advisor) Henry Carey. By his emphasis on Lincoln’s adherence to the American System (brought into 19th Century parlance by Lincoln idol Henry Clay), and his highlighting Lincoln’s connection to Carey, then the leading spokesman for the American System approach to economy, Blumenthal puts Lincoln squarely in the tradition of Founding Fathers Alexander Hamilton and George Washington. The fundamental understanding of the American System is a central contribution of economist Lyndon LaRouche and a group of his associates. Their collaboration spawned a series of books which should be read by all: Graham Lowry’s How the Nation Was Won; The Political Economy of the American Revolution by Nancy Spannaus and Christopher White; Allen Salisbury’s The Civil War and the American System; and Anton Chaitkin’s Treason in America. Taken as a whole, these four books constitute the basis for a fundamental and unique understanding of the American system of political economy. Blumenthal does not credit any of these works, but his discussion of slavery and its centrality to the economic debate over the American versus the British system, most emphatically articulated by Henry Carey, and the issue of the Whig platform’s emphasis on the central role of the federal government in creating and financing infrastructure, through a Hamiltonian credit system of protective tariffs, comes through loud and clear. Blumenthal provides a great and somewhat unique service by situating Lincoln within the context of the political battles of the period, not only in his own campaigns, but in the presidential campaigns of 1840, ’44 and ’48, both in Illinois and nationally. He provides extremely detailed descriptions of these tumultuous times, both by describing Lincoln’s early debates with his rivals, including Democrat Stephen A. Douglas and John C. Calhoun, and by describing in detail the political brawl in the partisan periodicals of the day. Every location had its Whig and Democratic newspapers, and Lincoln was a frequent contributor (often writing under pseudonyms). A major subject of these debates was, of course, the violent conflict over slavery, not only among the politicians and political parties, but emphatically the newspapers and preachers of the day who were either pro-slavery or pro-emancipation. The violence associated with this battle erupted long before Kansas-Nebraska. Newspapers associated with anti-slavery outlooks were burned, their editors murdered (such as the nationally famous case of Elijah Lovejoy), and the entire period which this first volume covers recounts multiple brutal battles over the issue of slavery, and Lincoln’s response and role. Blumenthal describes Lincoln entering politics as a 23-year-old candidate for the Illinois Legislature in 1832, as a determined opponent to Andrew Jackson’s Democratic Party. Lincoln ran on the Whig/American system policy of protectionism – tariffs to promote internal manufactures, internal improvements–especially rail and canals – and a sound National Bank to finance these improvements. He lost that first campaign, but subsequently was elected and served four terms in the Illinois House of Representatives. As Blumenthal says, “He always campaigned on the Whig platform for economic development, internal improvements – federal and state financing of massive infrastructure projects – and the tariff to protect and encourage manufactures.” In great detail, and through the opposition political newspapers of the day (which are again explicitly written by and/or associated with Lincoln or his arch-rival Stephen A. Douglas) he describes major events in state and national politics: the nullification crisis of 1832; the Whig campaigns of 1840, 1844 and 1848 (when Lincoln was a major leader of the party in Illinois, as well as a key national Whig leader); the battle over slavery; the Mexican War and the annexation of Texas in 1846, and the events leading up to the Compromise of 1850 and then Kansas-Nebraska, which he covers in Volume 2. Yet the Whig Party of which Lincoln was a part had no unified position against slavery—a fact which led to its ultimate split and demise. For to fulfill the economic objectives of the American System, the slave system had to be abolished. American System economists, including Carey, had pointed that out, but it was Abraham Lincoln who rose to the position of leadership to carry out that mission. In Blumenthal’s discussion of Lincoln’s views on slavery, and the context in which they developed, he gives new insights into why he was qualified to do just that. In an interview with journalist Scott Horton in August 2016, Blumenthal cites his own breakthrough on Lincoln’s early life and the question of slavery. He certainly proves, as Lincoln said repeatedly later in life, that he was always against slavery. But Blumenthal argues that Lincoln’s viewpoint was actually that of the slave, not merely of an abolitionist or person morally opposed to slavery. When Lincoln said “I was a slave,” Blumenthal said, he meant it. Depiction of slavery in Kentucky by Kentucky TV. Blumenthal then details, I believe for the first time, the history of Lincoln’s father in relation to the slave system. Thomas Lincoln fled from Kentucky to Indiana in 1811 to escape from a society dominated by slavery, and then moved his family again from Indiana to Illinois in 1830 when Indiana was becoming increasingly pro-slavery. The family move to Illinois was after 1822 when Edward Coles was elected governor and went on to defeat efforts to legalize slavery there. In Kentucky, Thomas Lincoln had been forced to go on slave patrols with the local militia, had his farm stolen with the compliance of local authorities, etc. He was also faced with what Blumenthal describes as the depression of wages in a state where free labor was forced to compete with slaves. According to Blumenthal, Thomas Lincoln belonged to a series of small Emancipationist Primitive Baptist churches in Kentucky, and then again in Indiana. He describes in detail how communities were organized into either pro-slavery churches or emancipationist churches, and how this filtered into Lincoln’s earliest anti-slavery views. Thus it was clearly not just the most-often cited influence of Lincoln’s mother, and then stepmother, which affected Abe’s views on slavery. Then there was Lincoln’s personal experience with what he called slavery. This came from the fact that he was rented out as a day laborer by his father, and forced to turn over his wages until he reached the age of 22. He had a fundamental understanding of what it meant for one man to be “wringing his bread from the sweat of other men’s faces” – as he famously said in his Second Inaugural Address. The context for Lincoln’s views on slavery was also set by his adherence to the American System of Economics, which is wholly opposed to the slave system. Blumenthal provides this by including extensive coverage of the leading American System economist of the time, Henry Carey, and Carey’s connection to Lincoln. 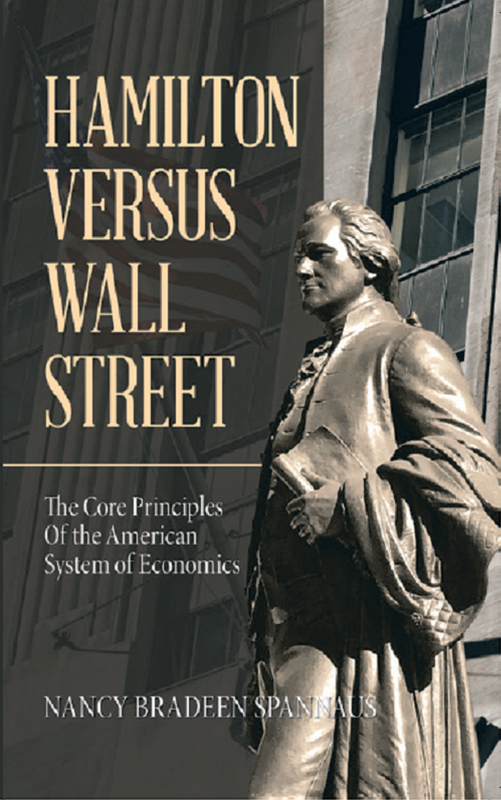 The book is worth reading for pages 281-284 alone, where Blumenthal details Lincoln’s study of economics. He first read American preacher and economist Francis Wayland, as well as Adam Smith and John Stuart Mill, and then discarded and refuted Wayland with Henry Carey. It is quite interesting that the only review I have read (and I have read many) that even mentions Blumenthal’s section on Carey attacks it brutally. The review, entitled “A Springfield Education,” was by Allen C. Guelzo in the Washington Monthly, June/July/August 2016. (Professor Guelzo is director of the Civil War Era Studies Program at Gettysburg College). He insists, contrary to abundant evidence in word and deed, that Lincoln supported the free trade ideas of Adam Smith and John Stuart Mill, not those of their American System opponents, including Carey. The Guelzo attack is even more interesting because Blumenthal, in my view, makes a significant breakthrough, in his “proof” of the intellectual connection between Carey and Lincoln. He does this despite the fact that there are no letters available between the two, or reports of their meetings. Blumenthal proceeds by elaborating on several of Carey’s works, where he refutes Adam Smith and Mill, the British system of Malthusianism, buying cheap and selling dear, low wages, slavery – and then in the footnotes attached, directs one to the sections in Lincoln’s Collected Works, where Lincoln’s speeches and Carey’s works are virtually identical. From every platform, he spoke in favor of the National Bank, the State Bank, and tariffs, just as he had done in 1840. His chief debating partner in 1844 was John C. Calhoun. They debated almost exclusively about economics. He carefully studied the economics issues, and did intensive reading. He read Wayland, but discarded Wayland (the classic American free market work of its time.) This is a treatise against government regulation, internal improvements, and the intervention of elected politicians whom Wayland considered disqualified from directing the manner in which labor or capital should be employed. Casting aside Wayland, he (Lincoln) enthusiastically embraced Henry C. Carey’s Essay on the Rate of Wages, which resonated with his most basic beliefs and sense of himself. Lincoln thoroughly assimilated Carey’s book, read his subsequent works, and as president would turn to him for advice. Carey’s Essay was a missile aimed against the political economy of austerity. He argued forcefully against the ideas that scarcity was a natural condition produced by impersonal laws of the market, that profits required driving down wages, and that government properly could and should do nothing. Carey had no nostalgia for rustic life, but instead advocated policies for a dynamic society that invested through government in transportation, public education, and technology; He openly castigated laissez-faire economics, the Manchester School, as the ideology intended to justify the British monopoly of the world market – “free trade, or the British system,” as he called it. He was as opposed to the false promise of the “iron law of wages”, that low wages best served high profits, as he was to the idolization of economic man, that society didn’t really exist but was merely an appendage of the market. He proposed protective tariffs and an expansive monetary policy to build up American manufacturing for the general good. He believed in a free society, not an idealized free market; a central economic role for government as essential for progress; and a market economy that broadened opportunity for all…. Carey had special contempt for Robert Malthus’s fashionable views of inevitable scarcity and austerity …. Illinois Central Railroad, which Lincoln worked to expand. The system to which the world is indebted for these results is called ‘free trade’; but there can be no freedom of trade where there is no freedom of man, for the first of all commodities to be exchanged is labour, and the freedom of man consists only in the exercise of the right to determine for himself in what manner his labour shall be employed, and how he will dispose of its proceeds … It is the most gigantic system of slavery the world has ever seen. In his end-notes Blumenthal backs up his assertion of Lincoln’s adherence to Carey as follows. First he quotes from Wayland. Then he cites Emanuel Hertz’s book The Hidden Lincoln on how Lincoln cast aside Wayland; three works by Carey– Essay on the Rate of Wages, The Slave Trade, Domestic and Foreign: Why it Exists, and How It May Be Extinguished, and Principles of Social Science; and Gabor Boritt’s Lincoln and the Economics of the American Dream. But then, unlike anyone else I know of, he cites the Collected Works, Vol. 1, pages 407-416, which are worth re-reading. Under the title, “Fragments of a Tariff Discussion” are various notes and “scraps” by Lincoln, which, when compared to Carey’s works, show their views are nearly identical. (Nicolay and Hay have a footnote that the scraps about protection were written between 1846 and 1847, but the dates from the Fragments are not entirely clear). Lincoln came to Congress in 1847. One of the most poignant moments in the book is the February 1848 scene where John Quincy Adams, who has spent 10 years in the House trying to break the gag rule on even discussing slavery – slumped into his chair and died. Lincoln as a newly arrived freshman was sitting in the back row watching the death of this great man. The chapters on Lincoln’s congressional term, especially regarding the Mexican War and his “Spot Resolution”, are among the best in this first volume. As Blumenthal explained in his Horton interview, Lincoln began serving his first and only term in Congress during the Mexican War. The issue of slavery’s extension as the excuse for the illegal war and for the annexation of territory to be admitted as slave states, was being debated as Lincoln entered Congress. (The Mexican War was declared May 13, 1846; Lincoln comes to Congress in early 1847, and his floor speech introducing his “Spot Resolution” demanding to know exactly where the Mexican War began was in January of 1847). Lincoln also voted for the Wilmot Proviso which stipulated that all the territory gained from Mexico must remain free. He voted for it many times, but it never passed. Lincoln’s Spot Resolution put him in a very small minority of those willing to oppose the war, tell the truth on the U.S. initiation of the war, and explain that the sole reason for the illegal war was to gain territory to increase slavery. Shortly thereafter, Lincoln, in attempting to create a consensus position on the antislavery side, hammered out, in consultation with the leading abolitionists in the House, a proposal for emancipation in the District of Columbia. It was aborted and never presented, but Blumenthal in the Horton interview calls it Lincoln’s first emancipation proclamation (although he also proposed a bill in the Illinois Legislature for emancipation in the nation’s capital as early as 1836). Lincoln’s fight to stop the annexation of Texas and its admission as a slave state, is fundamental to understanding the real Lincoln. Lincoln viewed the Mexican war as part of a grand plan, “even a conspiracy,” to create a vast empire of slavery throughout the West, and then have the United States annex Cuba, the Caribbean, much of the rest of Mexico, and other Ibero-American Countries (see Chaitkin’s Treason in America for more on this). In his interview with Horton, Blumenthal says this “conspiracy” was set in motion long before – when Calhoun, representing the slavocracy, managed to insinuate himself as secretary of state during the Tyler Administration, set about distorting documents to create the false impression that the British want to seize Texas as a free territory against slavery, and created the war fever that played out in the Polk Administration. But this is not really the case. During this period, Lincoln spent this time, while “lawyering” and serving as a leader of the Whigs, honing his knowledge of the American System of economics. He thus prepared himself for going beyond the Whigs and taking leadership in the anti-slavery Republican Party, which was founded in 1854—and finally leading the nation on the American System program of economic development, including eliminating slavery and challenging its sponsor, British free trade imperialism. This was his commitment and achievement–up to his dying breath.